Want to create large and affordable artworks? 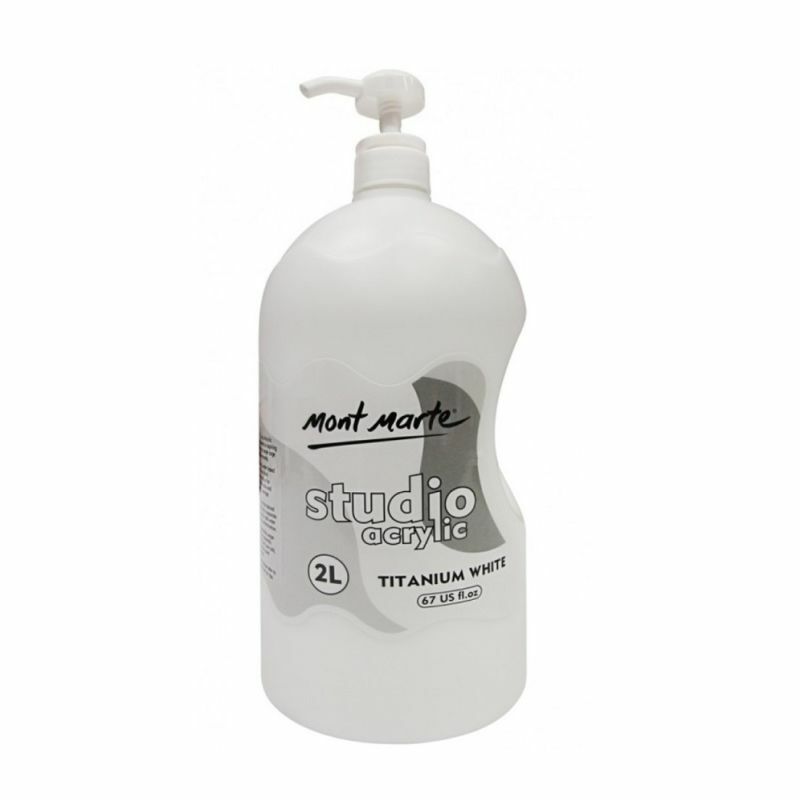 Try Mont Marte Studio Acrylic 2 Litre paints, available in 10 colours. The fast drying, water based acrylic paint is an ideal introduction to colour for students of all ages. It is mixable and provides great coverage. Best use is to pour the desired amount of paint into a seperate vessel to mix and/or add water to prevent cross contamination.